The Blackhawks released the roster for their game against the Tampa Bay Lightning in Winnepeg on Wednesday night. It’s intriguing that Shawn Lalonde is missing from the roster because he’s had an exceptional training camp after an outstanding rookie camp. 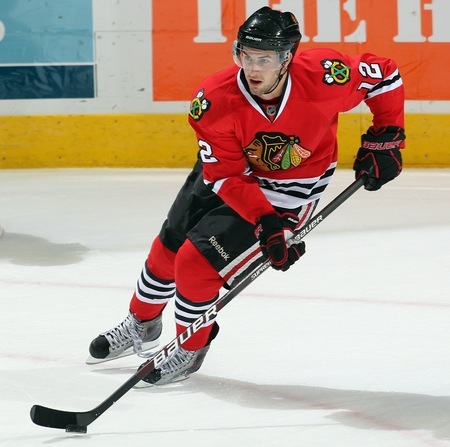 However, also noticeably missing from the roster is Niklas Hjalmarsson, who wasn’t at camp on Tuesday. There were whispers at camp that there may be some injured defenseman, making one wonder if Hjalmarsson is healthy. Also missing is Ivan Vishnevskiy, but Nick Leddy is making the trip. Leddy has been impressive, but Vishnevskiy has NHL experience. Up front, Kyle Beach will fight for one of the remaining roster spots with other youngsters. Tomas Kopecky and Dave Bolland are two veteran names missing from the list of forwards making the trip.